A late medieval stone town house. Thouse was split into three cottages, but wasrestored in the 1960s. The interior is furnished with modern replica furniture, showing what life was like for those who dwelt here in the Middle Ages. 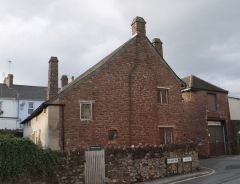 Kirkham House is managed jointly by English Heritage and the Paignton Preservation & Local History Society. Location: Located on Kirkham Street, off Cecil Road. Limited opening times - see English Heritage website for details.